Smoking meat in your pit is wonderful but did you know that smoking vegetables is also fun and delicious. 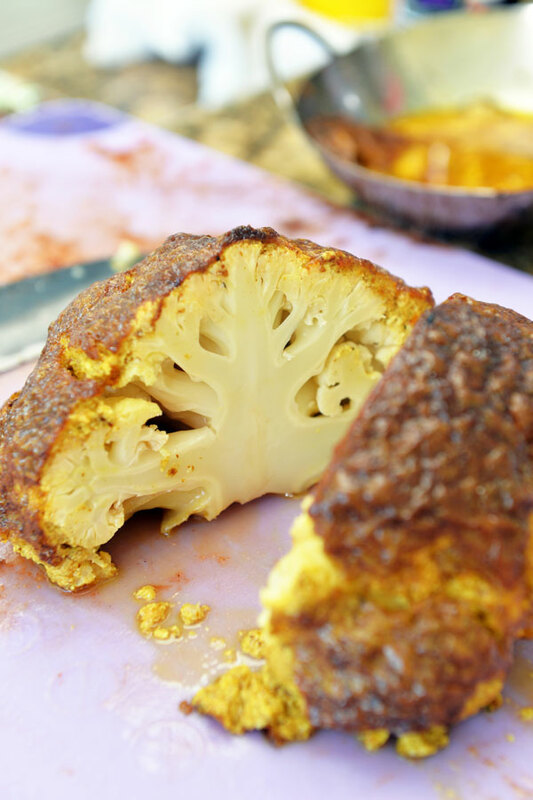 You just need some creative ways to take your veggies up a notch in your smoker. 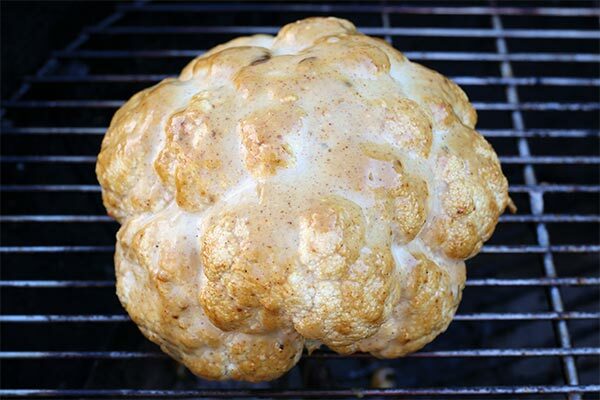 I like to serve veggies when I serve BBQ and besides the old standbys like coleslaw and potatoes, and sometimes even grilled cabbage, I enjoy pit roasted whole cauliflowers. I drew my inspiration from India and Japan where, believe it or not, curry is an extremely popular dish in Japan. The Japanese have embraced Indian curry albeit a sweeter and pastier version. Instead of yogurt or coconut milk, they use a roux and pureed vegetables like carrot or potatoes. 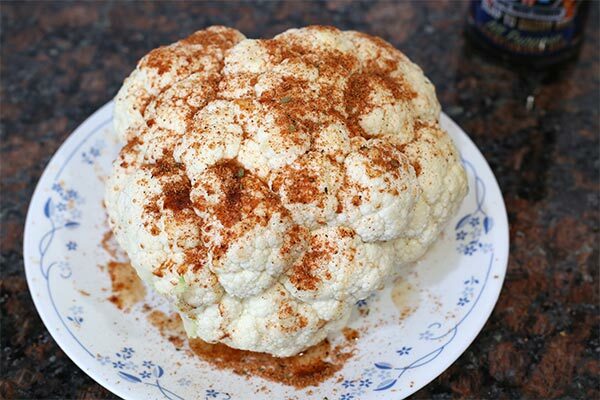 I like both Indian and Japanese style curry and since the Japanese curries are a little sweeter, they work well in my pit roasted cauliflower recipe. 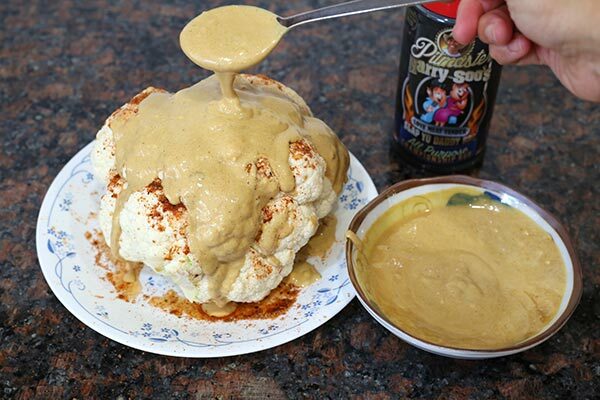 This dish uses mayonnaise as a base to blend in a curry paste. Use vegan mayonnaise if you prefer. I used store bought Japanese curry past so it's an easy dish to make. You can serve it as a side dish or for your vegetarian friends, it could hold its own as a main course. 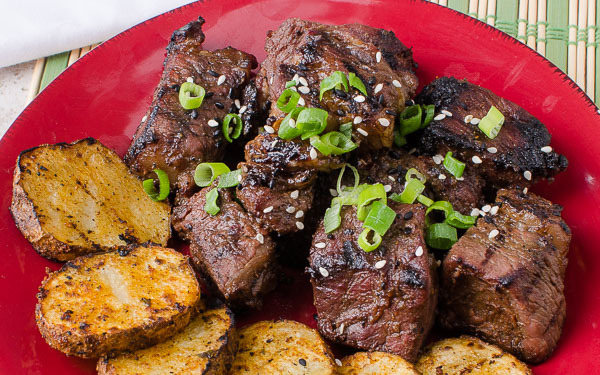 You can cook it to the tenderness you like and no shame if you do this in the oven. In fact, sometimes I cook for 40 minutes in the oven before I put it in my pit for another 30 minutes to get some smoke. You can also start in the smoker and finish in the oven. 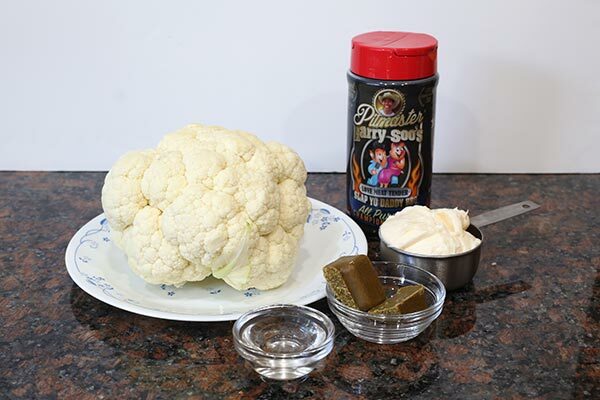 I don't use any wood when I smoke as the light smoke from the briquettes is enough to kiss the cauliflower with a flavorful smoke. 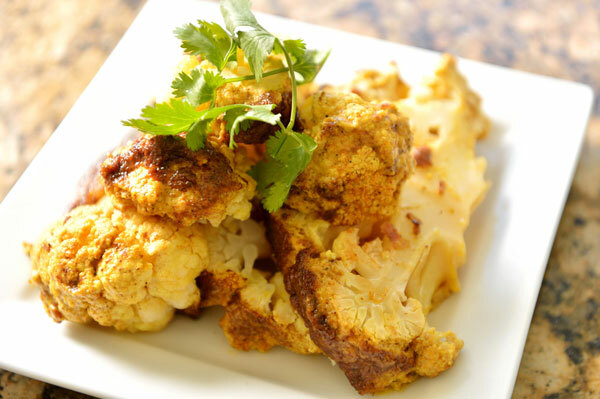 So the next time you want to serve a creative veggie side dish, try my pit roasted whole curry cauliflower. Cook a few more heads as it chills and reheats very well. Cook in 275F smoker for about 1 hour to 1 hour 15 minutes until it is fork tender. Looks great Harry but where do you get the curry roux? ?